Sage advice from the former champ. Who would have ever thought Mike Tyson and sage advice could be linked in such fine fashion? Not me, but I think he’s on to something here. When runners come up with training plans to help them prepare for their next race, they rarely have to worry about literally getting punched in the face. But the metaphorical fists start flying early and often, and very few people are able to make it from the first day of their plan to race day without getting hit a few times. The 2013 Watermelon Series is officially in the books. And let me just say that I’m glad to be part of the Lakeland Runners Club, as our organization does an absolutely incredible job of putting this race series on every year. Hats off to all of the organizers and volunteers who skipped out on running these races to allow those of us that did run to have a great time! Thanks yall! A big thanks to Jess Smith for being the first guest writer of the Run Bloggers Unite! movement. If you’d like to to join the movement, I’d love to partner with you! But without further ado, please enjoy Jess’s awesome addition to my blog, and please check out my guest post on my evolution from non-runner to (annoying?) 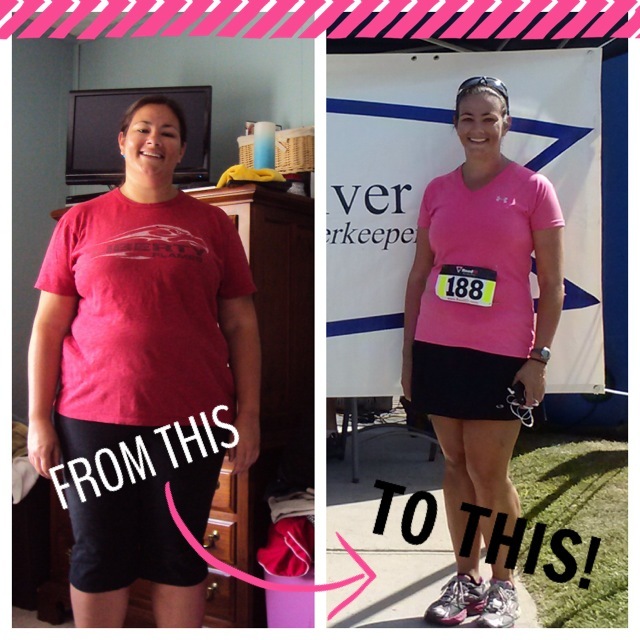 runner, with some of my tips to help you get started as well, over on her blog. I’ve spent the last 2 years turning myself from an overweight couch potato into a runner. I guess going from being able to jog slowly for about 5 minutes to running a half marathon in less than a year gives me some kind of authority to answer this question. While keeping in mind that I’m still a fairly new runner, and my previous running experience was limited to a grand 17:00 minute mile in high school, know that I’m not an authority on all things running – these are just some things that worked for me! https://i1.wp.com/www.dizruns.com/wp-content/uploads/2013/08/photo5.jpg?fit=640%2C640 640 640 Denny http://www.dizruns.com/wp-content/uploads/2015/01/Logo-Trans.png Denny2013-08-06 12:05:392014-12-24 11:54:16Thinking About Running? Here are 5 Tips From Jess Smith to Help You Get Off the Couch and Out the Door! The Only Way to Run Faster Is…. Sage advice, I know. But how often is the truth so simple that we overlook it in order to try to find a “better” way. For us runners, we want to get faster so we try the newest shoes, the fanciest sports drink, different energy chews/gels, and whatever else is new and flashy and endorsed/promoted by Usain Bolt, Kara Goucher, or Runner’s World magazine. But the only way to get faster is to simply run faster. Athletes are a gimmicky bunch when it comes to their equipment and gear. And sometimes those athletes that have the least amount of equipment are the ones with the most peculiar habits and quirks. Enter runners and their shoes. Many runners find a model of shoes that they like, and won’t even think about trying a different brand or style. Trying a different shoe for no good reason? Forget about it. Why are Shoes So Special?